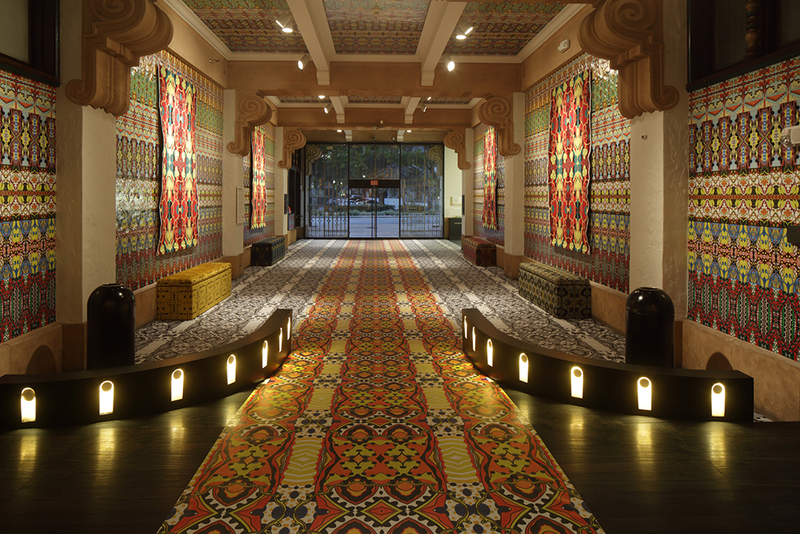 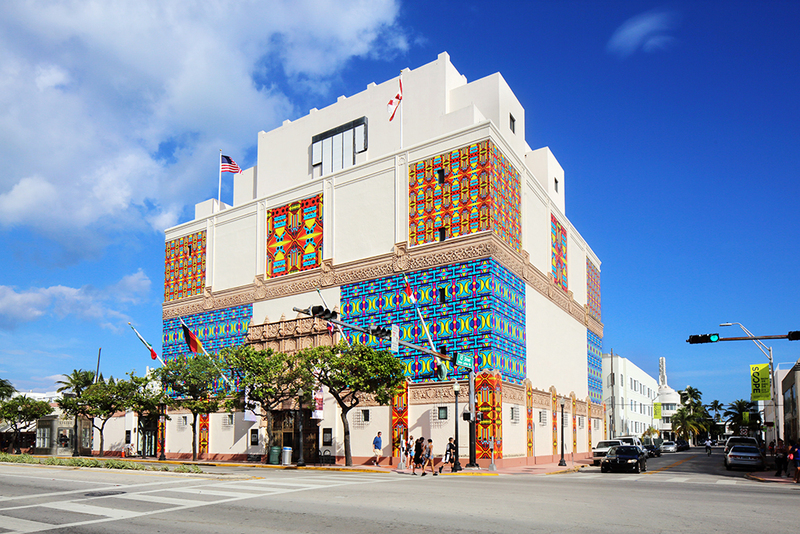 The façade and lobby of The Wolfsonian–Florida International University in Miami showcases Christie van der Haak’s installation ‘More is More’ through 11 June 2017. 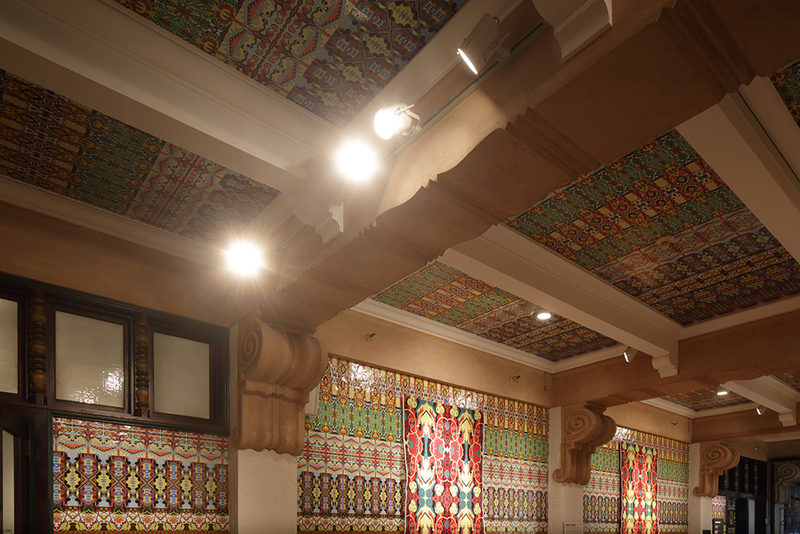 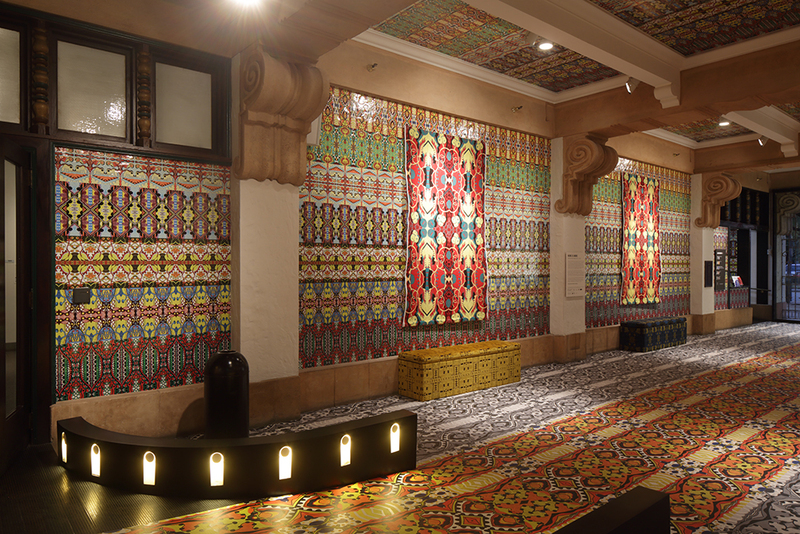 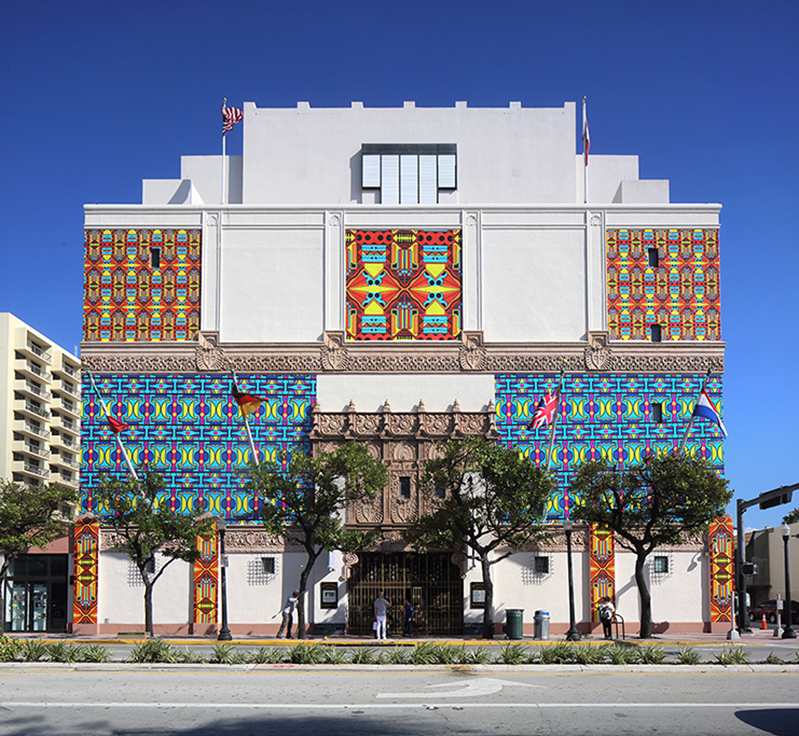 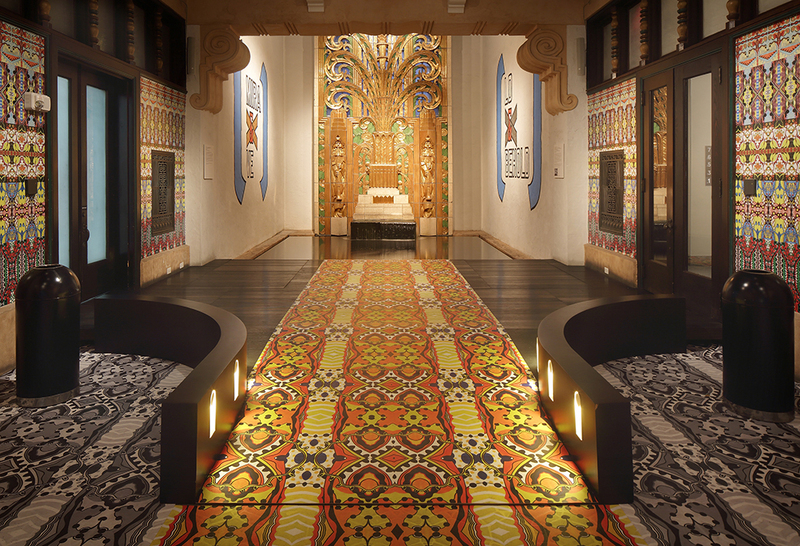 On the occasion of the major retrospective Modern Dutch Design (1890-1940), which exhibits Dutch art works of the collection of the museum, Van der Haak transformed the iconic art deco building in South Beach with her colourful, exuberant tapestry and art deco and batik-inspired patterns. 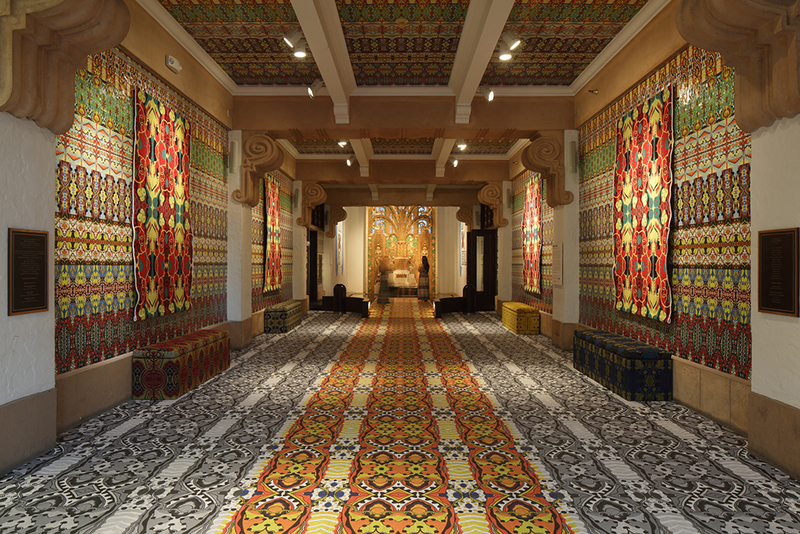 It is the first presentation of Van der Haak in the United States.